This wall map is created from the latest in digital cartography. 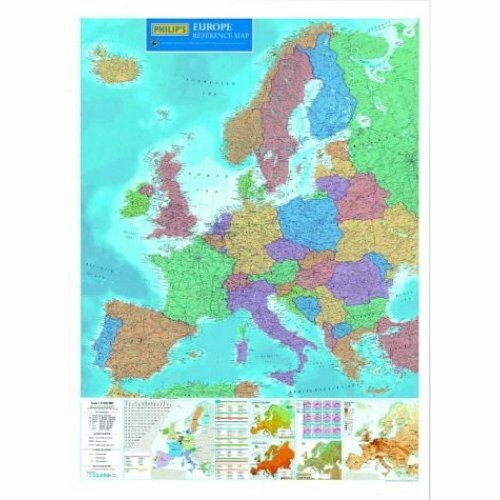 It features a brightly coloured large-scale map of Europe, in political coloration. Countries are picked out in disctinctive colours to aid identification, with town names clearly shown.